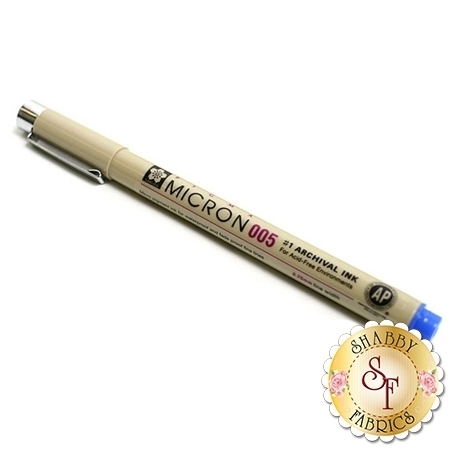 Excellent for tracing embroidery designs, you'll love this pen! Sakura Pigma Micron Pen size 005 (.20mm) in Blue. The acid-free ink is permanent, but the ultra fine point creates lines so thin they are easily covered with embroidery.